No. 12 New Mexico State will face No. 5 Auburn in the NCAA tournament on Thursday. March Madness is officially here. 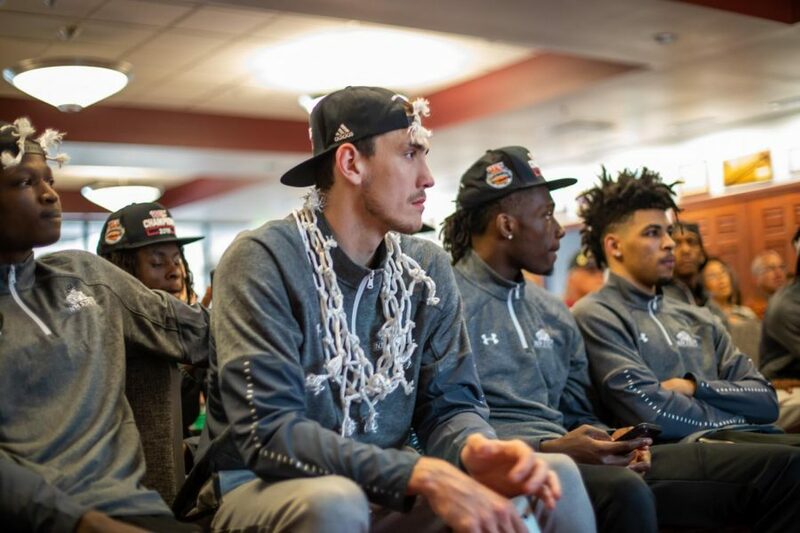 The New Mexico State men’s basketball team will be heading to Salt Lake City, Utah, where they will face the Southeastern Conference tournament champions, the Auburn Tigers – the Aggies were placed in the Midwest region, while the matchup will take place inside the Vivint Smart Home Arena this Thursday at 11:30 a.m. (MT) and will be broadcasted on TNT. “These kids are playing their best basketball of the season right now and playing with a lot of confidence. If I was a four or five seed, I wouldn’t want to see us popping up on their region, I know that,” NM State head coach Chris Jans said. NM State received the No. 12 seed for the second-straight season, as this is the third time in program history it has found itself at its current spot. The most recent being last year’s team, but other past years being in 2010, when Marvin Menzies’ team narrowly was defeated by a Michigan State team who reached the Final Four, losing 70-67 – and the other being in 1992 when NM State went to the Sweet 16, this being the last time the Aggies won a NCAA tournament game. Auburn enters the tournament as the No. 5 seed after beating powerhouse Tennessee 84-64 in the SEC championship game. This was the Tigers first SEC tournament Title since 1985, a shocking statistic but nonetheless enter the tournament with a 26-9 overall record and going 11-7 in the conference’s regular-season. Head coach of the Tigers Bruce Pearl will most definitely be eager to further his team’s historic season with a win or wins in the NCAA tournament, but first will have to find ways to outbattle NM State’s depth. The Aggies sit at 30-4, the most wins the program has ever had in a single season. This will be the teams 22nd time in the Big Dance, where they have gone 7-23 (the NCAA vacated three tournament appearances from 1991-94). The Aggie faithful look for this year to be the monumental ending where NM State will bust some brackets and turn some heads while doing so.